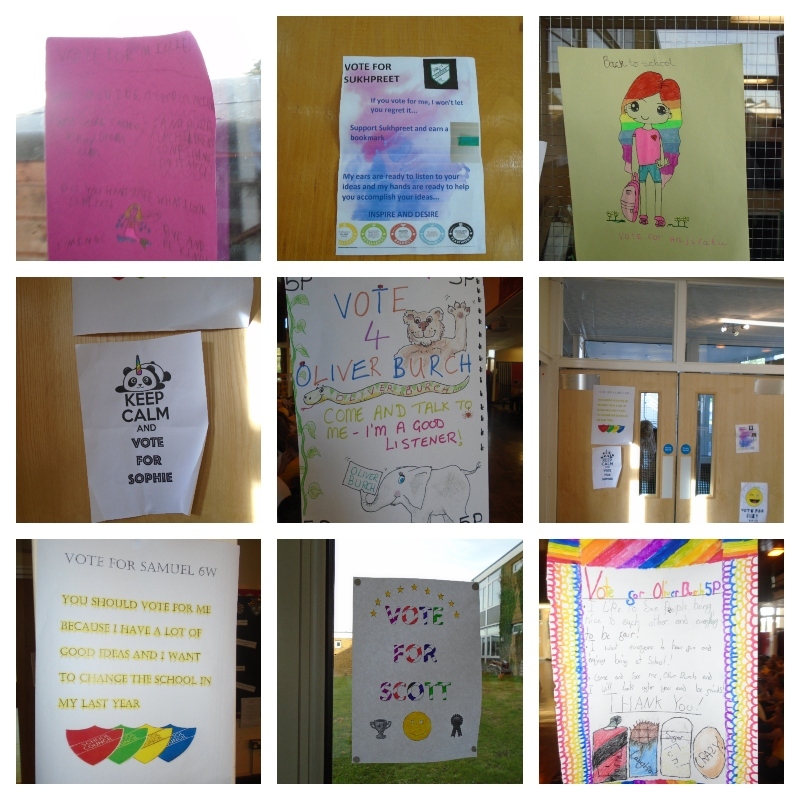 This year our school council elections have really taken flight, it is nearly time to vote – FRIDAY 19TH! Our budding school councillors have been working hard making posters and selling themselves for the big day! School council really would be nothing without your support, feedback and decisions. In this blog post I will explain how the process works so you know the know how to become a school councillor. First, all the budding school councillors fill up their candidate forms / manifestos – these are usually with Miss Richmond (our school council leader) or on the school council board, (they usually have a deadline of a week). Once you have filled these you find two people who think you would be a good school councillor (they do not need to be your campaigners) and ask them to write their name in the nominee section. You can now give it in to Miss Richmond (or me – Khhushhali) and the first stage of the process is done. After the deadline (in about a week), Miss Richmond will hold a meeting explaining about the next stage: CAMPAIGNING and asking if you still want to do it. Campaigning is when you sell yourself to the voters / pupils to make you chosen to become a school councillor. You are allowed to put posters up (in the hallway and the long corridor) and give anything (presumably stickers/ badges) for people to vote for you. This is on THURSDAY 18TH. Now you will give a few sentences or words to you year group to explain why you should be a school councillor. NOW IT IS YOUR TURN! Voting is on FRIDAY 19TH, you will decide who you want to be a school councillor for your year group. Voting will be anonymous, as meanwhile Miss Richmond and I have written up each manifesto on A3 piece of paper giving each candidate a letter (CANDIDATE A). You will read what each person says in your year group and choose a letter. I hope this has cleared out the process for you. In addition, remember THURSDAY 18TH is the day of the SPEECH, FRIDAY 19TH is voting day.